Procrastination. It's a nasty little habit that I think may haunt us all, even if it's just a little. We all remember being in school and waiting until the day before a paper was due to sit down and actually write it. Or waiting until an hour before class to study up for a test. How about waiting until the day before Valentine's Day to buy your honey their gift? Last year, I didn't buy my boyfriend his Valentine's Day gift until the morning of. I did manage to find him something that he liked and uses pretty often. But it was really out of pure luck. Don't make my mistakes. Shop early this year and find your significant other the perfect gift. Shop AccessoryGenie.com! Last week I focused on gifts for the smartphone owner and enthusiast. So let's talk tablet accessories this week. We carry a wide variety of tablet accessories, including cases, sleeves, stylus pens, speaker systems, docks and more. 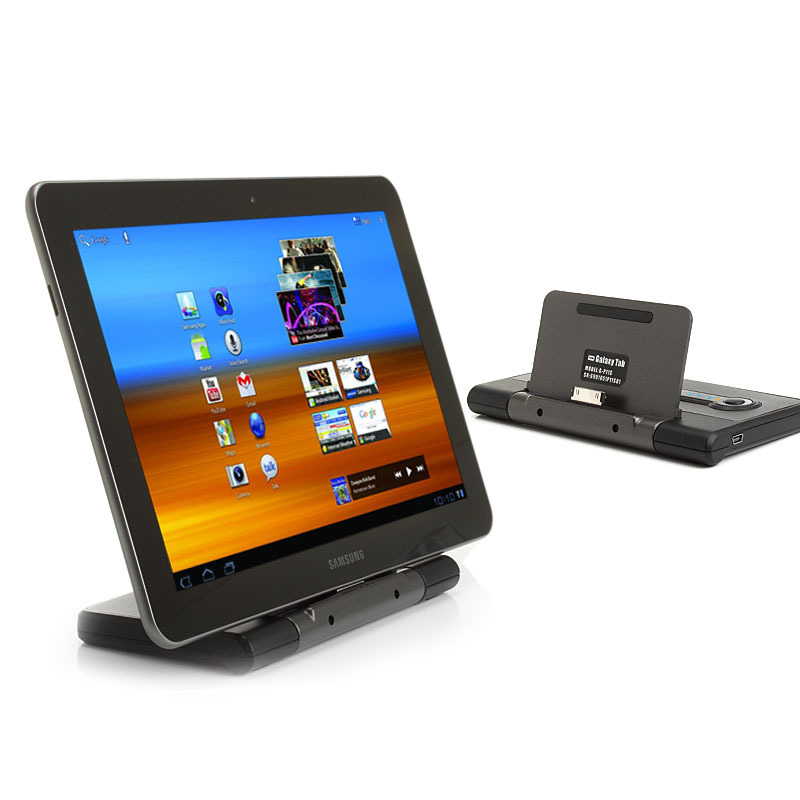 We recently got the enerG Portable Battery Dock, a foldable charging dock that will dock, charge and sync your tablet. We currently carry two models - one for the Samsung Galaxy Tab 7.0, 7 Plus, 8.9 and 10.1 tablets, and the other for iPad and iPad 2 tablets. The internal rechargeable 5200mAh lithium polymer battery offers your iPad or Samsung Galaxy Tab an extra boost of energy when you're away from power outlets. When connected to the computer, the enerG Dock will also sync the tablet! We also have a variety of tablet cases for him and her. The Renee Michelle Padfolio was especially designed with women in mind, and is compatible with a variety of tablets, including the iPad/iPad 2, Samsung Galaxy Tab 10.1, Motorola XOOM and Xyboard 10.1, HP TouchPad, and many other tablets. If your guy has an iPad, iPad 2, or a Samsung Galaxy Tab 7.0, definitely look into getting him a CaseScenario Folio Case. I bought one for my boyfriend last year for his iPad 2 and he absolutely loves it! The case has a built-in rotating stand that allows you to easily prop up your tablet in a portrait or landscape view for easy viewing and typing. The sleek, black leatherette exterior is professional and modest, and will keep his tablet well protected. We've also got a variety of speaker systems that are perfect for playing audio from tablets! For the ladies, the GOgroove Panda Pal, Koala Pal and Mama Panda Pal make excellent gifts. And guys would LOVE the BassPULSE Satellite Speaker System! Not only does it look great, but it also delivers amazing sound with bass he'll be able to feel! Trust me, your Valentines will love you even more with awesome gifts like these!